Press Release – New Yoga Mats and Blocks – for Men? June 23rd, Troy, Michigan – For Immediate Release – The latest Yoga in America Study shows that 17% of yoga practitioners in the USA are men, so why is all of the yoga gear on the market too small for them? A new company, called Yeoman Gear is tackling issues that apply to these guys. Yeoman Gear conducted their own survey of male yogis and found that over 90% felt that yoga mats were too small and more than 95% of the men surveyed agreed that yoga blocks were not large enough. “That made the decision to launch Yeoman Gear really easy.” says founder Tom Nardone. He has been practicing yoga for over 15 years and always thought the products weren’t made for him. It wasn’t just the pink and purple pastel tones, it was the size of the items. “A small mat and a large yogi leads to a lot of readjustment during class. It can ruin your flow. I was jealous of the smaller people who didn’t have to shuffle around as often.” says Nardone. Yeoman Gear gives larger people more space to work with. The mats are described as one head’s length longer, one hand’s width wider, and twice as thick. The Yeoman Gear Block is more than twice the volume of a standard yoga block. Will a larger yoga equipment fit in a crowded classroom? Yes. Yeoman Gear is just slightly larger and sized proportionately to larger people. Early users of the mats say that their neighbors didn’t seem to notice the difference. What about price? Is this larger yoga gear much more expensive? The Yeoman Gear Mat is just $39 when you pre-order via Kickstarter. Add in the block for $15 more. 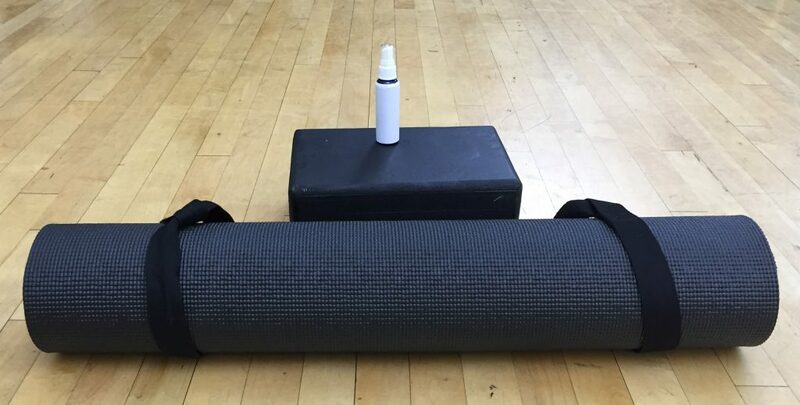 A deluxe package of Yeoman Gear which includes the mat, block, a yoga mat carrying strap, and mat cleaner spray is only $69. Compared to premium yoga equipment, Yeoman Gear is a relative bargain, especially for men (and people who are not tiny). The name Yeoman is two things. First, a Yeoman was a person who worked hard and was loyal. Second, it is a play on words. The yo from yoga and man combine for Yeoman. The Kickstarter project will go live on June 28th at 11AM EST. All of the Yeoman Gear products we are offering on our Kickstarter Campaign. This entry was posted in Uncategorized by tomnardone206. Bookmark the permalink.